Leah joined Tomorrow’s Technology Today in 2018 as our Inside Sales and Marketing team member. She graduated High School at Marion Local, and went on to earn her Bachelors’ Degree in Business from the Wright State University Lake Campus. 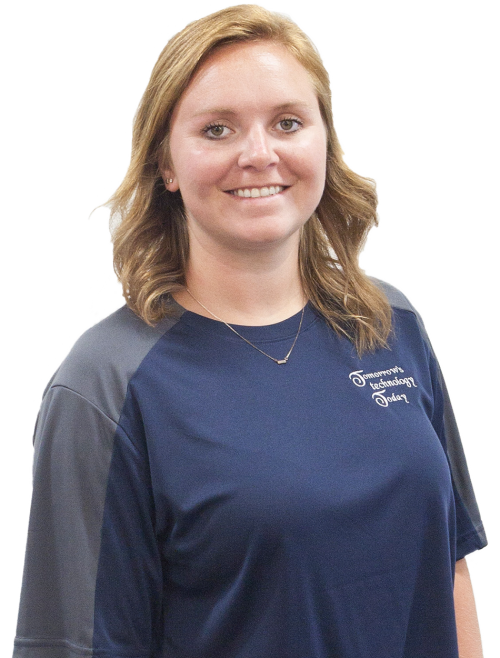 Leah has become involved in the Celina Chamber of Commerce, as well as the Lima Chamber of Commerce and enjoys networking for us. Growing up as a millennial, Leah has been forced to adapt to advancing technologies. She spends much of her day on the phone with potential customers, translating the Tech’s technical language into Layman’s terms. When away from work she enjoys spending time with her friends and family, boating and anything outside.